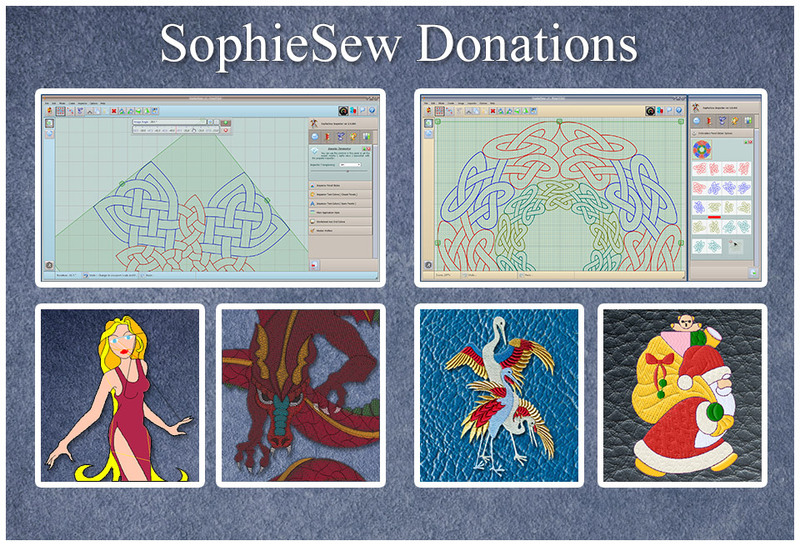 Did you know that Sophia Sew work perfect and very very fast in Linux Ubuntu 14.04 64bit. You will have to load Wine which is free and there you go. Is your program compatable with an older mac? 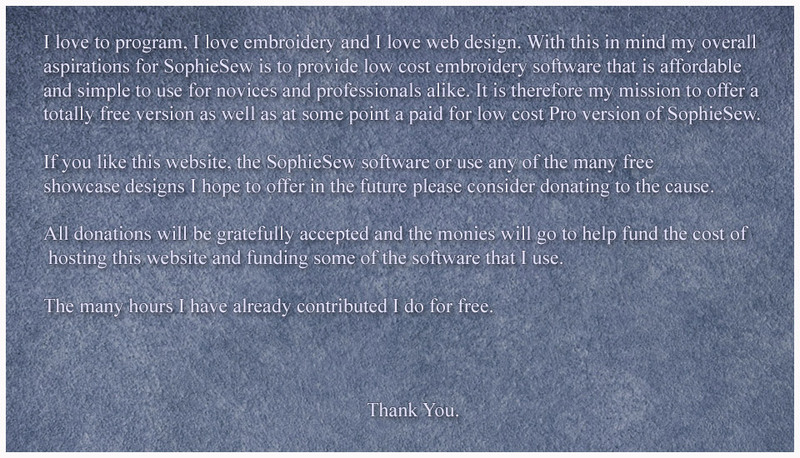 Unfortunately Robert I don’t have the time to take you up on your offer but a warm thank you anyway for your generous donation. Regards Carlos. A warm thank you to Karyn Zupke, Vrenali-Anne Ginns and Ian Fletcher for your kind donations to the cause. Regards Carlos.